German Auto Works is a St. Louis Park, Minnesota business with a more than 45 year history in sales and service of European automobiles. Prior to that, the building started out as the stable for Engell Dairy. By 1926 it was the St. Louis Park Service Garage. It operated as a car repair garage and gas station. By 1948 it was Lambin Motors, and in the 1960’s it was Park Auto Upholstery. It became German Auto Works, founded by Don Lindall, in 1971. We’re sports and luxury car enthusiasts and we recognize that the Twin Cities has a number of fellow automobile enthusiasts that must shop outside of the Twin Cities area when looking for a truly special or unique automobile. We are here to help you find the right vehicle at the right price. Our personal service is what sets us apart from our competitors. German Auto Works… dedicated to enthusiast motoring! This building started out as the Engell Dairy’s stable; city records say it was built in 1926. In 1930 it belonged to Henry “Hank” A. Schroeder of the Schroeder Dairy Co., in Deephaven, who had the water connected to the main line that year. Schroeder was still the owner as of 1951. 1947: R.H. Mohrbacher requested a permit to sell cars but was denied. July 1950: A Buy-Rite Market is listed at 4827 Excelsior. Could that be this building? 1951: A fire caused $7,000 in damages. George Sedwick was the manager. Schroeder was listed as the owner, but he may have sold shortly afterwards. E.J. Lambin wrote a letter to the Village Council commending the fire department. 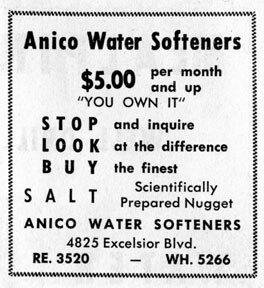 The front office was rented to Anico Water Softeners. 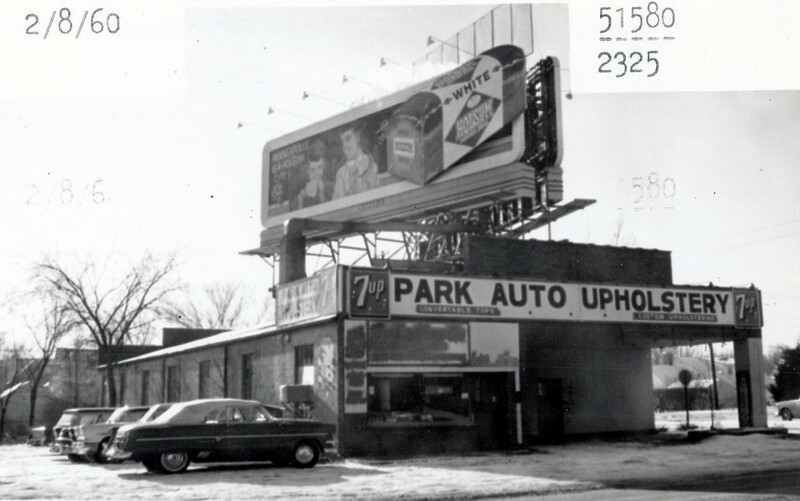 1970: Colonial Auto Body opened in November.